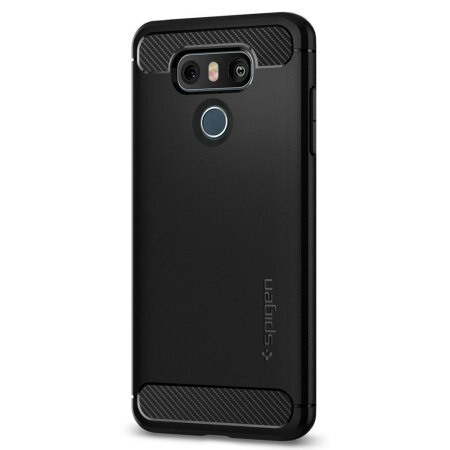 Meet the newly designed rugged armor case for the LG G6. Made from flexible, rugged TPU and featuring a mechanical design, including a carbon fibre texture, the rugged armor tough case in black keeps your phone safe and slim. Easy to browse website, was told that delivery will take 2 weeks, item arrived just in 4 working days and that was also using normal post delivery. Product is looking good and as described. Well communicated. I like it so far! 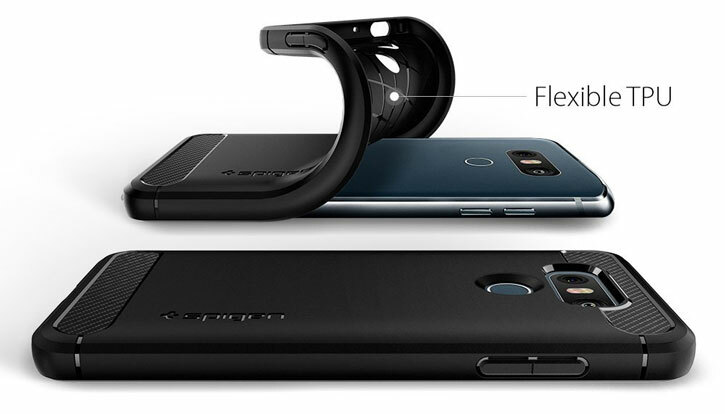 It's little bit thicker than I thought, but I heard that this case prevents damage from dropping your phone. 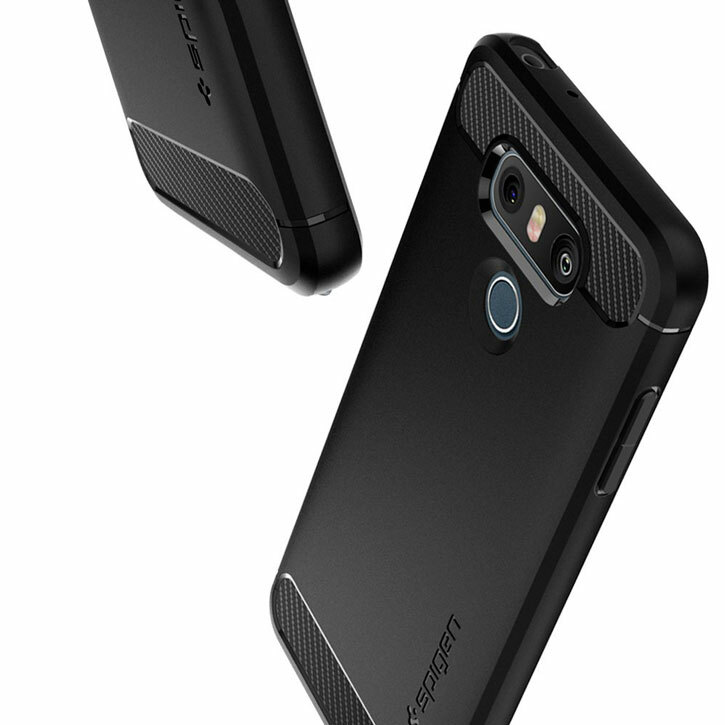 The new Rugged Armor is Spigen's latest addition, delivering exceptional protection in a slimline package. 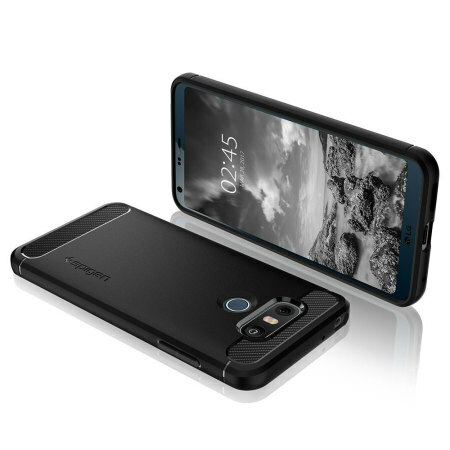 Made from a flexible TPU case, the Rugged Armor has been fitted with Spigen's trademarked Air Cushion Technology which absorbs shocks and impacts, keeping your LG G6 safe and secure at all times. 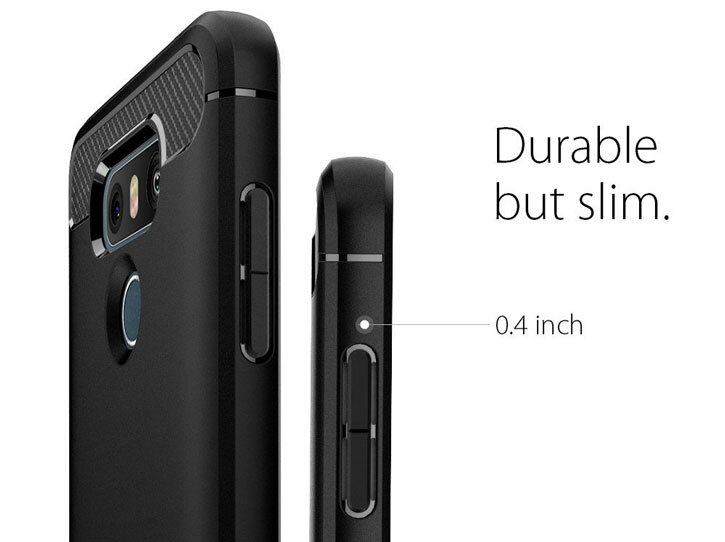 Made from a precision cut single layered piece of TPU, the Ultra Rugged case fits precisely around your G6 for a smooth, contoured fit. 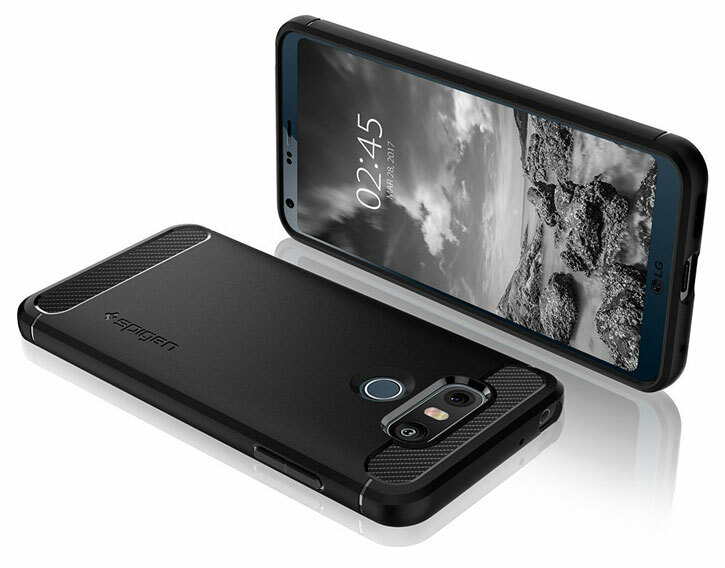 Both lightweight and slim, this case from Spigen is sure to keep your G6 bulk-free whilst well protected. 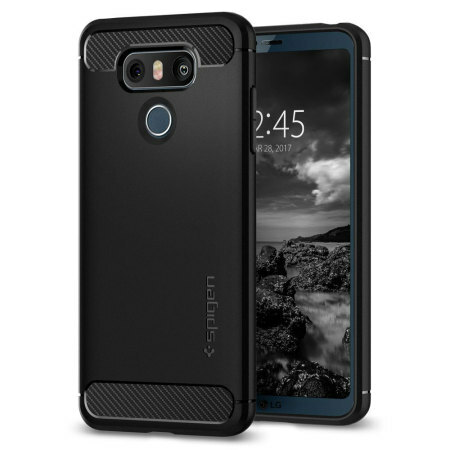 The Rugged Armor compliments your LG G6 perfectly while providing sufficient protection for the LG G6's protruding camera. 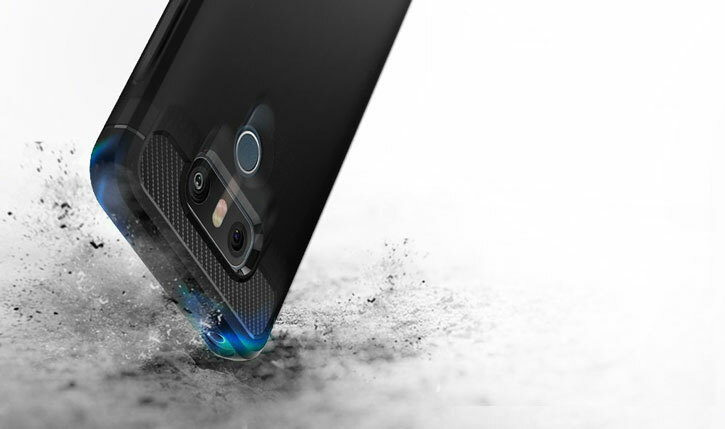 Spigen have implemented their patented spider web design and air cushion technology within this case to guard your beautiful new G6 from any angle. 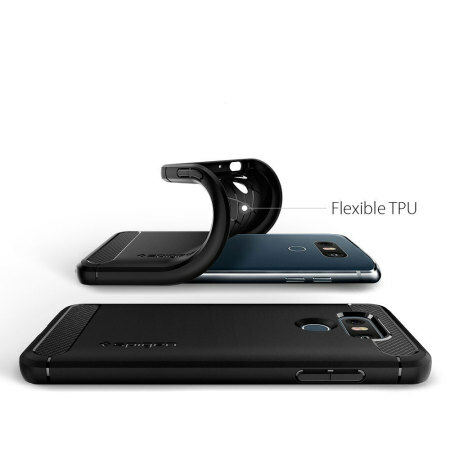 So you can be sure to have your phone covered against accidental drops and falls. 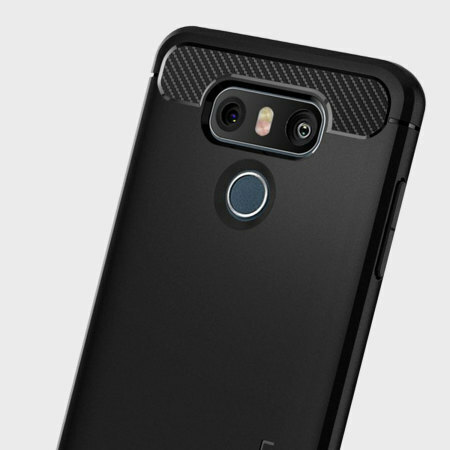 Another fantastic feature of this case is its raised front lip, which follows your phone's edge for peripheral protection. 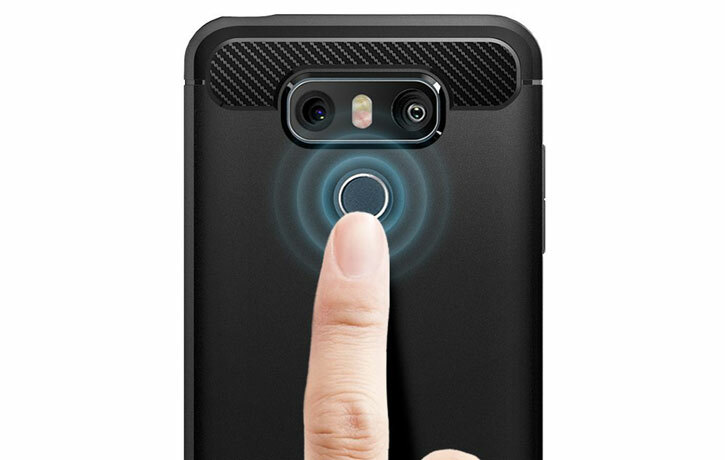 The case also features cut-outs for the ports and features of the LG G6, including the dock connector and camera.